Take a piece of paper and a pencil. Draw a circle. Now draw another circle around that one. And now draw another one around those two. You should now have a bulls-eye on your piece of paper. 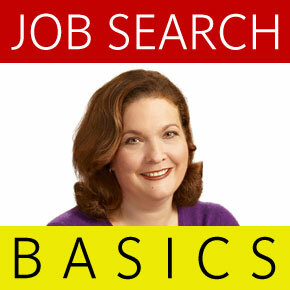 Write their names down on your piece of paper and later you can transfer those names and their contact information to either a spreadsheet, notebook, or one of the job search platforms (http://freshtransition.net or http://jibberjobber.com are good ones). You can get some easy, early networking “wins” – meaning people meet with you – which can build your confidence for more challenging asks. You’ll get honest feedback from people about your resume and your job goal – valuable information for fine-tuning your approach to future contacts. It’s likely that your connection will refer you on to at least one more person, which is the sign of a successful networking meeting. someone you worked with very long ago on a project or volunteer gig. Again, write down these names. Don’t worry if you have only a few – you’re making a start. The third circle is long shots. These are people you don’t know but want to know because they are well-connected, influential, accomplished, or work at a company for which you want to work. They include CEOs and other C-suite individuals, connections of a LinkedIn connection, bloggers, consultants, business owners in your field and more. Write down both people’s names and the names of companies you want to work for and do the research to find people at those companies. You can use LinkedIn to see if you have any connections to the company. For these second two groups, your approach needs to be polite, appreciative, and brief. You’ll ask these people for 20 minutes of their times to give you advice and guidance on your job search. Develop an Intention Statement and insert it into the email or LinkedIn message. Mention your connection or your mutual contact’s name. Promise you only want to get some feedback, and flatter them. Say you think highly of them for some specific reason, and know they will give you valuable insight and guidance. Acknowledge you know they are busy and so you hope they can spare the time. Make them feel generous. I always recommend going to the top and if possible sending a snail-mail hand-written letter if you have good handwriting, or a typed and hand-signed letter if you have bad handwriting. There are so few of these received now, yours will stand out. When people approached me cold when I was head of City Harvest, I always either saw them or asked one of my staff to see them. You never know if you don’t try! Second-degree connections on LinkedIn are long shots because it depends on how well they know the person introducing you, as well as how open they are to responding to cold calls. People used to be more generous, but I’m seeing a reluctance by people to respond to introductions. So remember you need to be generous when you are in a position of getting requests for networking meetings. When you meet with these people – face to face is best, followed by phone or Skype – thank them first. Be prepared to answer their questions about your goal and your background. Have some questions you want to ask about them, the field or position you want. Ask if they know of anyone else who might be helpful to you. Ask if they are willing to introduce you to that person. If not, ask if you can use their name when you contact the person. And by all means only take 20 minutes!! It’s your job to watch the clock, not theirs. In the meeting you need to say “I’ve already taken up the 20 minutes you gave me, so is it alright if I email you if I have additional questions?” If they seem in any way reluctant, don’t push it. Many networking meetings will be positive and others will not. Sometimes people will give you a name of your next contact and sometimes they won’t. Always send a thank you note, expressing gratitude for their time and advice and suggestions. You will be surprised how good manners make a good impression, and people may think of you for a position when you least expect it. While the purpose of networking is ultimately to get a job, building a network is useful in and of itself. The only way you will get a job through networking is by consistently making a good impression, showing appreciation, and following up as promised. Your network will hopefully direct you to an opening, for which you’ll have to apply and interview. Yet you’ll have an interviewer predisposed to like you when you come referred by someone they know and trust.